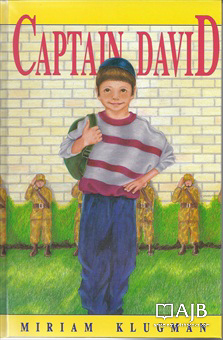 Expert Review of Captain David by Miriam Klugman, one of our picks of the top Jewish books for kids! David is not doing very well at home or in school, so he withdraws into the world of his daydreams. In this world of his own creation, David is a hero bravely leading his men into battle. His loyal troops look up to him with great admiration; he is their captain. But in the real world things do not go so smoothly — until an eventful field trip teaches him the meaning of courage and self-esteem. Middot (character) development is the first goal of Jewish childhood education; this book should be in every child's library.